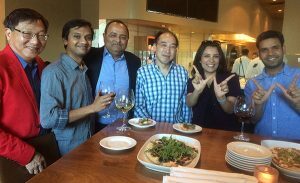 Currently, Computer Sciences alumni have formed two local alumni clubs: one in the Silicon Valley / San Francisco Bay area, and one in Madison. Club leaders organize a range of events that give alumni a chance to socialize, network, learn about new technical topics and more. The Silicon Valley club, formed in 2015, organizes an annual picnic, small-group mentor dinners, tech talks, special outings (for example, a tour of the Tesla factory), and more. The Madison club, formed in 2017, has organized a casual get-together at the Memorial Union Terrace and a tour of local tech giant Epic followed by happy hour at a pub. Computer Sciences alumni are encouraged to keep their contact information up-to-date with the Wisconsin Alumni Association so that they appear on email lists for invitations. There is also a closed Facebook group for alumni of UW–Madison Computer Sciences.